I awoke in a strange bed. It was bigger and comfier than my bed at the hospital…It took me about a minute before it came back to me. They had let me go. They had told me everything and let me go. Does that mean I have new clothes? I went straight to the dresser, ignoring the plain envelope on the top of it. I settled on a red floral dress and matching cardigan. It felt so good to be out of white! 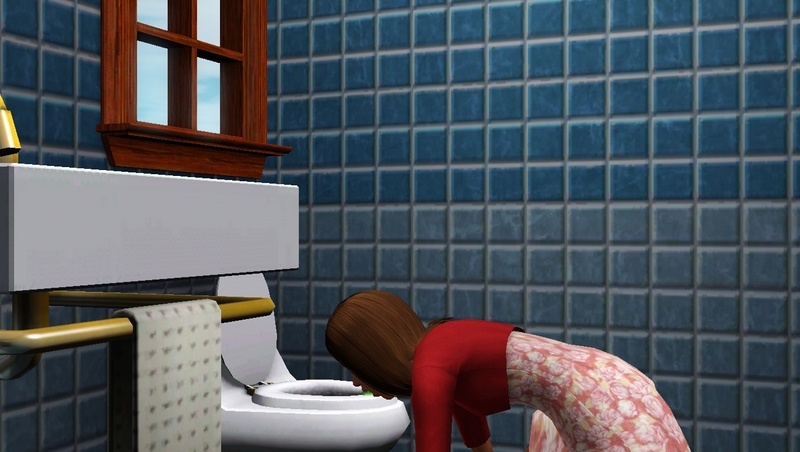 I was about to reach for the letter when a wave of sickness came over me…forgetting about anything else I rushed to the toilet. only just making it before I began vomiting. Ugh. What was that? I went back to the envelope and opened it. It was a letter from them. Goodbye. This is not the last time you will hear from us however you are now on your own and free to live your life. This is your home. 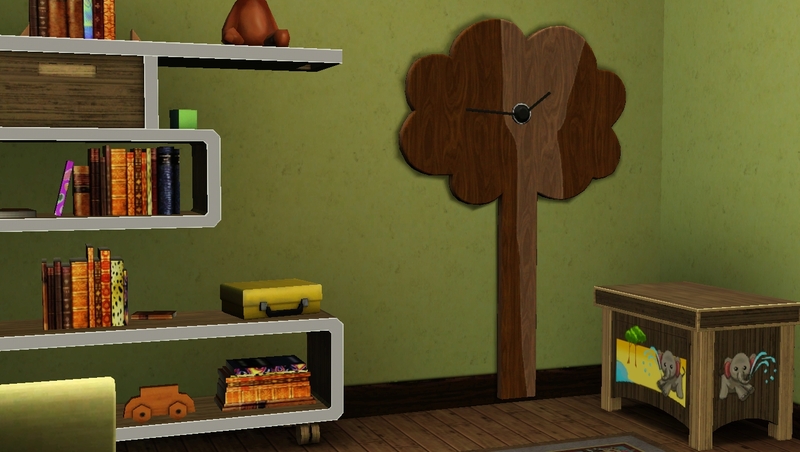 There are three bedrooms for you to fill with whatever you want. Please don’t think we haven’t noticed your athleticism. Something you inherited from your father. we have provided you with a small home gym. Now onto the sickness you have been feeling. We have implanted an embryo inside you. You are pregnant Erin. We did listen when you told us about evolving. Your brother was fine despite being a half blood. We will track this child’s life. And if your half blood grows up normally and well. with no physical or mental impairments we will no longer ban half blood children from being created. We understand that this is a big responsibility and if you do not wish to have it we have arranged an appointment for you at the local hospital to dispose of the parasite. However we have prepared a small nursery for you. Enjoy your life Erin. The future is in your hands. I was pregnant. Pregnant! I was 16 and pregnant. They said I could get rid of it but…It was my baby. I’m going to be a mum. Could I be a mum? I went and looked at the nursery the doctors had built. It was cute I guess but It gave me no indication of whether I was having a boy or a girl. A son or a daughter. I guess it didn’t really matter. It would be a baby and it would love me unconditionally. It would be company and I would never be alone. I looked outside the window and realised I could go outside! I called a taxi and asked them to take me to the nearest park. When he dropped me off I paid him and got out. I took off my shoes and wiggled my toes in the grass. the trees looked so beautiful. The breeze felt amazing on my skin. The grass tickled my feet. It was bizarre how much joy all these simple things brought me. I couldn’t believe I had forgotten how good being outside felt. 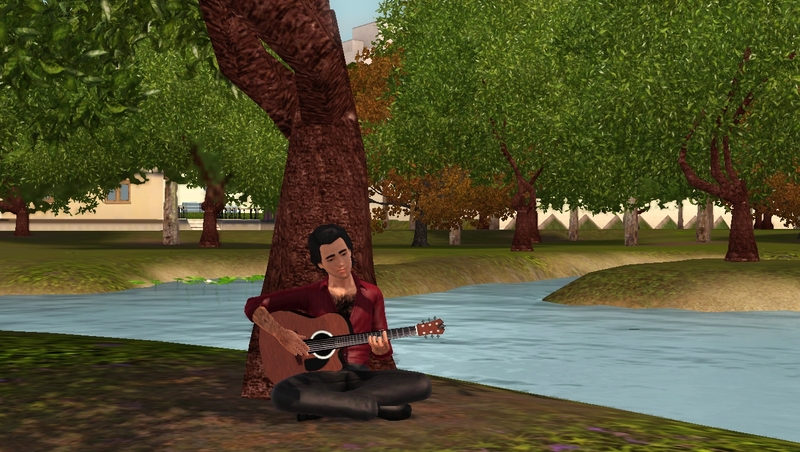 I could hear music playing in the trees, following the sound I saw a young man playing the guitar. I just stood and watched him play. It was a beautiful albeit a very sad song. He was so engrossed in the music it took him a few minutes to notice me standing there. I went over and shook his hand. He told me his name was Jason. I couldn’t help but think that he was really cute. We talked for a while. But as the sun started to set he told he had to be off. He said he hoped to see me again sometime however I wasn’t really expecting much. I mean I was pregnant with another person’s child and he hadn’t even asked for my number. I didn’t really mind though. He was the first person I had met in this town and if the rest were as friendly as him I think I’ll fit in just fine. Wow! Just wow! I can’t believe they let her go! It was like she was some kind of “chosen” one. She’s caring a LOT of responsibility with this baby. It will be interesting to see how the child grows and what happens next with the Doctors. I can’t believe she thinks he’s cute after all she’s gone through. I don’t know if I could think about romance after all that. 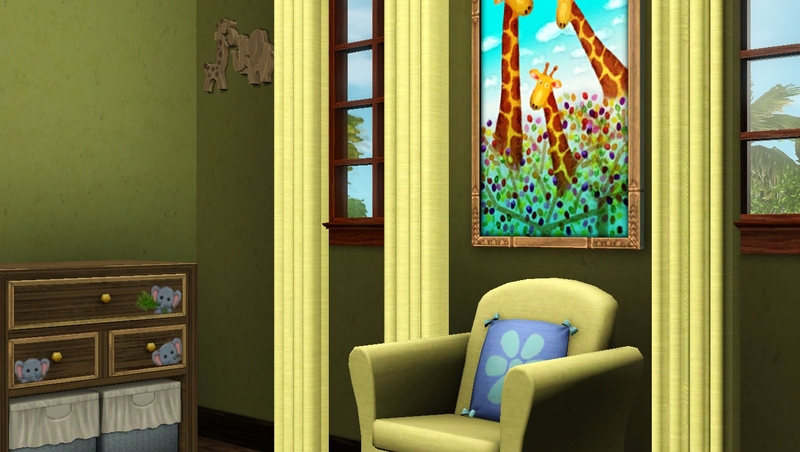 😀 The nursery is super cute, by the way! just because she thinks he is cute doesn’t mean she is interested in romance. They couldn’t keep her locked up in the hospital now that she knows the truth. I think the baby carries the most responsibility. They will be watched for their entire lives. Studied. Photographed. Hello, I’ve spent the last hours reading the entire story from first generation Elizabeth ’till now and it’s awesome! So interesting, I doubt I can figure out a storyline like this. (I just started with the story of my legacy, but I’m very new to all of this so I’m not sure I can pull it off as well as storytellers like you haha). I’m very curious for the baby’s gender, so I’ll bookmark your site! The nursery is indeed beautiful. Awesome! That’s fine, I am not against you writing chapter 12 because I’m very curious haha 😉 Besides, my game crashed so I have to start again with chapter 1 😦 All the people my founder met are gone, so there’s no point in continuing with that chapter… Luckily it was a short one, haha. 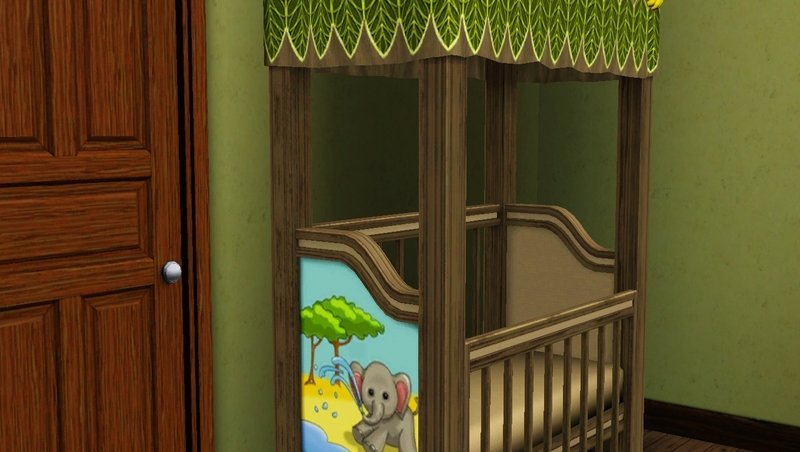 That nursery is super cute!